Opening for Joe Walsh will be special guests JD & The Straight Shot. The band’s style is steeped in the quiet fire of Americana, with distinctive elements of mystical, rustic, New Orleans flavored roots music, topped off with a dash of classic rock. 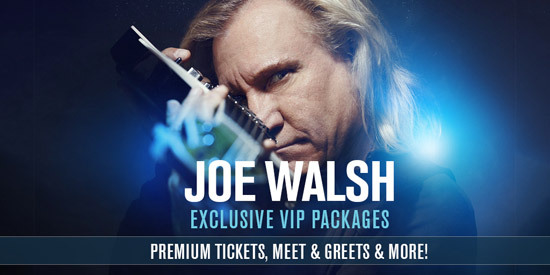 A Limited Number Of Joe Walsh VIP Packages Are Available. Select Packages May Include Premium Tickets, Meet & Greet/Photo, Exclusive Merchandise & More! Artist management is requesting that all guests attending the Joe Walsh concert on July 31 be aware of the following safety/security procedures.